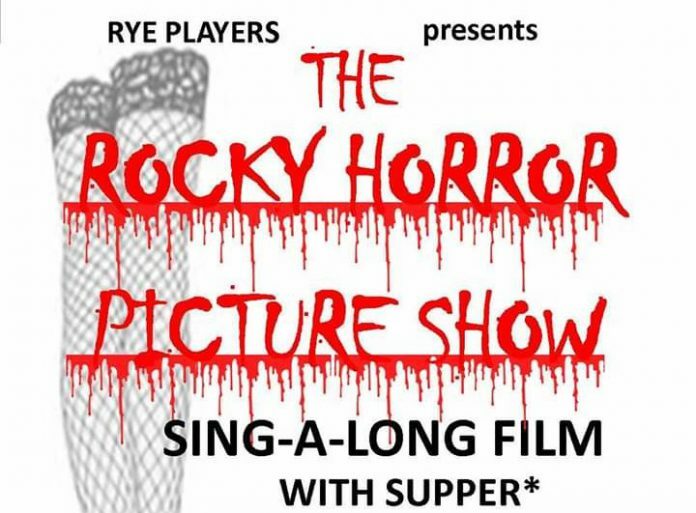 This Friday, March 29, sees a singalong performance of the Rocky Horror Show film in the Community Centre. The film is shown in conjunction with the Rye Players. First produced as a stage musical in the early ’70s, it has had a number of revivals since then and the (unlikely) storyline revolves round a mad transvestite scientist, Dr Frank-N-Furter who has created his own version of Frankenstein’s monster – a physically perfect muscle man named Rocky Horror. In places very funny and in others perhaps just a tiny bit rude, it is immensely entertaining and undoubtedly one of the highlights is the Time Warp dance, which the audience has always been encouraged join in, mimicking the movements on stage. Traditionally, fans, both male and female of the Rocky Horror Show dress up as the transvestite Frank-N-Furter or his acolytes, so you chaps out there don’t be afraid to get out the makeup and who knows, we might even see some of the great and good (well, good-ish) of Rye donning fishnets and a basque for the occasion – I dare you. There is a prize for the best.